Proofreading is more than making sure the i‘s are dotted and t‘s are crossed. It’s as much a business as it is an editorial process, and there are business skills every freelance proofreader must know. To be a successful, you have to know how to manage all of the various aspects of running a small business, whether you’re in it full-time or as a side hustle. When you’re self-employed, it’s tempting to brush aside administrative duties till another day. However, these business-related tasks take up just as much time as proofreading itself (sometimes more), and are just as important to your success as a freelancer. Let’s take a closer look at the business skills every proofreader needs to know. As a freelance proofreader a good portion of your time will be spent marketing yourself. If you don’t, no one will know who you are and what you do. Set aside a few hours every week for marketing your services through emails, connecting with industry people, and maintaining your blog and social media accounts. In addition to this, you also need to dedicate time to researching and applying for work opportunities. Even if you have a full roster of clients it never hurts to keep an eye on the job market, if not to discover a new and exciting opportunity, but also to keep abreast of what people need and want. Keep an eye on the latest content, language and industry trends. For example, remember when in early 2016 Amazon announced they would penalize ebooks that contained too many mistakes? It’s also necessary to get on social media. Social proof goes a long way in increasing your credibility, and as a professional you have to use Twitter and LinkedIn. Twitter is excellent for connecting with others in your industry; it’s basically virtual networking. You don’t need many words to sell yourself, and plenty of people have found work via tweeting. People on LinkedIn are serious AF so when you connect with people there you know they’re going to check you out. Make sure your profile has a clear, professional-looking pic. Don’t post pics of you on a beach or hugging your dog. It just doesn’t fly there. Get creative and have fun with other platforms like Instagram, Pinterest, Periscope and Snapchat. If you like to write, try posting on Medium (you can also post articles on LinkedIn). Think of it as free advertising and networking without having to leave the house. You can also join Facebook groups and mention your biz on the days the moderator allows self-promotion. Get noticed by helping and giving advice when you can. Basically, be the group’s go-to proofreading expert. No one (except accountants) enjoys working with numbers. It’s painful and tedious, and all too easy to put aside for another day. It’s important to stay on top of your financials and to file your taxes on time. You don’t want to be scrambling to get everything together come tax season or be penalized for filing your taxes late. 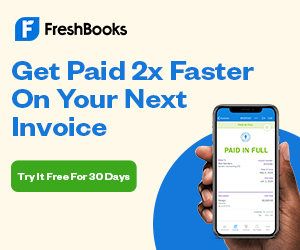 There’s user-friendly accounting software on the market like FreshBooks that make it easy to invoice, pay bills, and keep track of earnings and expenses. Other financial considerations to keep in mind include saving up for retirement, medical expenses, business expenses, supplies, an emergency fund, and even a vacation fund. We all need a break, right? Project management is a skill that translates very well across any industry. As a freelance proofreader it can make or break your sanity. You need to be able to manage overlapping projects or meet deadlines without having to jeopardize the quality of your work. It’s a good idea to set up a workflow system that optimizes your time. There’s nothing more stressful than staring down one deadline while wondering how you’re going to meet the next one. There are project management tools like Asana (my fave!) and Trello that are free to use and make management a fun task. If you think you can work from home and hide under a rock while you make money, well…you might get away with it sometimes, but the truth is you’ll have to interact with another human at some point. While it’s true you’re distanced from clients physically, you do need to master some interpersonal communication skills. Whether you interact through email, Skype, group platforms or phone, you should be able to provide your input in a clear, diplomatic and efficient manner. Proofreaders will occasionally have to query writers or editors about a project. With editors you want to get to the point and clearly detail your problem and/or solution. Writers require a degree of sensitivity. Always assume that the person you’re contacting is sensitive to change. Do not bluntly state things like “This doesn’t make any sense whatsoever.” I’ve actually seen notes like this, and they weren’t received well. No one likes a judgmental proofreader who doesn’t act professionally. To be in the game you have to stay on top of the game. It’s vital to continually grow your skills. Invest in training so you can branch into new areas and expand your services. You also need to learn the basics of the industry. Opportunities like my free 5-day intro course, Proofreading 101, are excellent. You sign up in the box below. To get into a certain niche, find ways to educate yourself about that specific area. For example, if you want to start proofreading law documents, consider taking a course in legal communication. Familiarize yourself with an industry if you want to expand your skills. People will be more likely to hire your services if you know their business and the language they use. 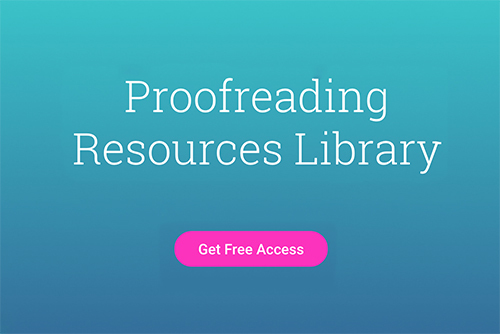 Whether you’re a full-time proofreader or doing it on the side to make extra money, proofreading is a business that involves working with others and being proactive. Being a freelance proofreader means you can’t just focus on proofreading—it’s vital to your growth and success to stay on top of your business skills. Do you have any business tips you want to share in the comments below? I think for me communications would be a strength, and accounting a weakness. Do you recommend any accounting programs? Hi John! Yes, having good communications skills is very important in proofreading, especially when dealing with sensitive authors! There are a few accounting software programs you can use. You can find a bunch at Staples or go for a cloud-based program like Freshbooks. There are quite a few.